The biggest New Year’s Eve party record was set by Rio de Janeiro in 2008. 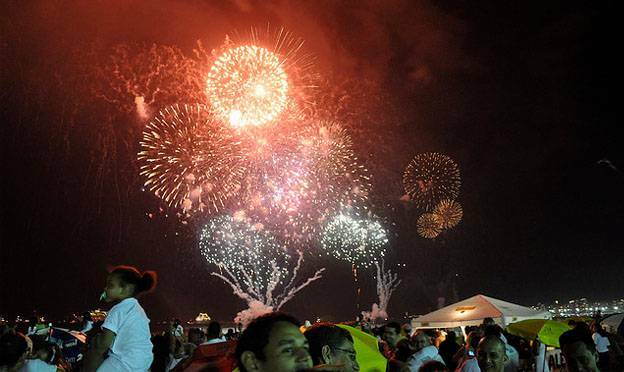 2 million people came to celebrate on Copacabana beach and enjoyed a toe-curling 20 minute firework display! They braved the chilly weather to dance on the sand and filled up the promenades, blocking traffic. Tens of thousands partied well into the night and were still going the next morning. Rio has always been party central on New Year’s Eve. They honour the goddess Yemanja by dressing in white and offering gifts of flowers, jewels, wine and expensive clothing to the ocean in the hopes that she will bless their New Years wishes. The record-breaking shindig cost 10 million reals, the equivalent of 5.7 million dollars! It’s really no surprise that Valentine ’s Day is all about Paris. The city of love attracts thousands of visitors each and every year. While the French don’t party in the streets like the Brazilians, but the entire city is steeped in the rosy glow of love. An old tradition in France was called the “une loterie d’amour” – a little bit like a keys in the bowl situation. Single men and women would go into houses that faced each other and call out to one another until everyone paired off. If a man didn’t like his match, he would simply leave her for another woman. The ladies who were left single at the end of the night would build big ceremonial bonfires to burn all the things that reminded them of the partners who scorned them. It must have been pretty therapeutic but eventually (and not surprisingly) the custom was banned by the French government. If you can’t wait for the Christmas festivities to begin, you need to get yourself to Scandinavia where the party starts when the sun sets – about 3pm. They start off by placing candles in their windows then they bring out the ‘Aquavit’ – a liquor so strong it’s said to raise the dead! The parties usually go on all night and into Christmas morning. 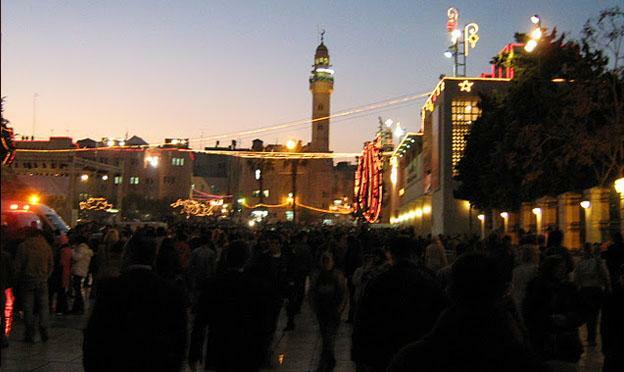 But if you’re after a more grounded experience, visit the place where it all began – Bethlehem. There are Christmas processions through Manger Square, several religious services and even the Balisca of the Nativity – the traditional site of Jesus’ birth. Whether you see Halloween as a Pagan, Christian or completely secular celebration, there’s no doubt that the Americans top the board for Halloween celebrations. Across the country, everyone goes all out for the holiday; dressing up in scary costumes, going trick-or-treating and having Halloween parties. Throughout the whole of October, American streets are decked in orange and black with store windows displaying such Halloween favourites as black cats, ghosts and jack ‘o’ lanterns. There is simply no better place in the world to celebrate! Easter is a great time of year; there are bunnies, fluffy chicks and – best of all – chocolate! 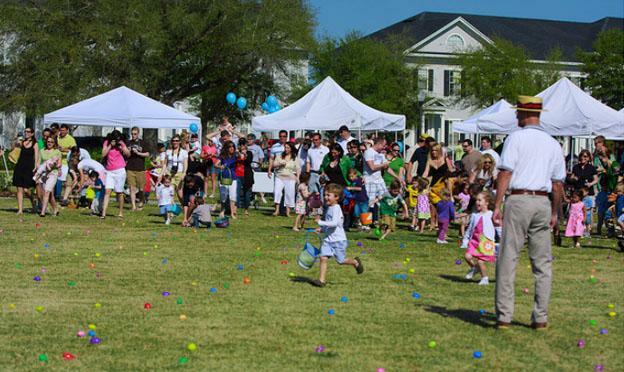 We all love a good Easter hunt and the biggest one of all took place in Winter Haven, Florida in 200. Nearly 10,000 children joined in the hunt for 501,000 brightly-coloured Easter eggs. Can you imagine how big that Easter bunny’s basket must have been?! The title of ‘World’s Biggest Firework Display’ is thrown around quite a bit. There are loads of countries and cities who try to lay claim on this most prestigious title. However, there is only one in the Guinness book of world records. The record currently belongs to Macedo’S Pirotecnia Lda. In Funchal, Portugal. They’re eye-popping display consisted of 66,326 fireworks! But if you’re looking for fast-firing thrills, the record for the most rockets launched in 30 seconds belongs to Pyroworks International Inc. This company in the Philippines set off 125,801 rockets in 30 seconds! Each country has their big annual party. We have the mighty Glastonbury – mecca for those who love music. 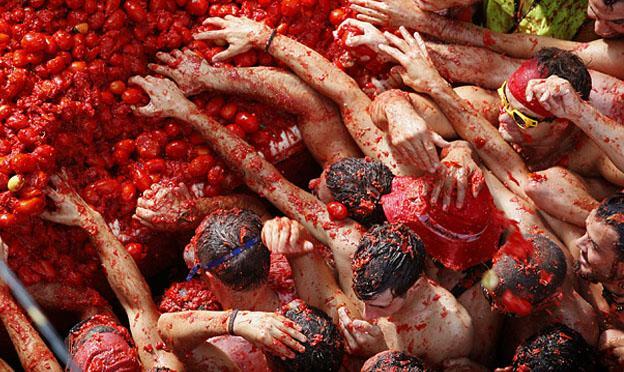 The Spanish have their annual tomato fight, La Tomatina and India have their Holi celebration where they throw bright coloured paint and powder at each other. But my personal favourite has to be Burning Man in the Nevada Desert. It’s the ultimate festival of self expression ending in the ceremonial burning of a giant, wicker man! So there you have it, the ultimate parties for any special occasion. Why not try and visit them all next year?